Sales professionals invest hard earned dollars and valuable time to get in front of their ideal target client. After the initial contact, most sales professionals move on to the next prospect regardless if the previous one has become an actual client or not. Most prospects do not become an actual sale usually until at least the eighth touch, and most sales pros are quitting after the first touch. There is a fine line between persistence and being a pest. You can change from that transactional mindset to one of relationship building. Come learn how to not look like a pest and instead show that you are a persistent professional. 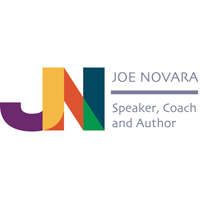 Join Joe Novara and Teresa Robinson as they take you on a journey that will teach you how to touch your prospects multiple times, increasing your opportunities for more sales and to generate more income. Joe is going to directly teach you several methods that will help you to communicate with your prospects, both online and in-person. Ou will learn how to take those conversations you develop through social media and transition to face-to-face meetings with those people. Teresa is going to teach a new method using social media that will help you to touch and engage prospects and clients in a way you probably have never done before. This method could possibly revolutionize sales and marketing. It may also increase your sales rate greater than ever before. *** BAGELS, FRUIT AND COFFEE WILL BE AVAILABLE, complimentary!